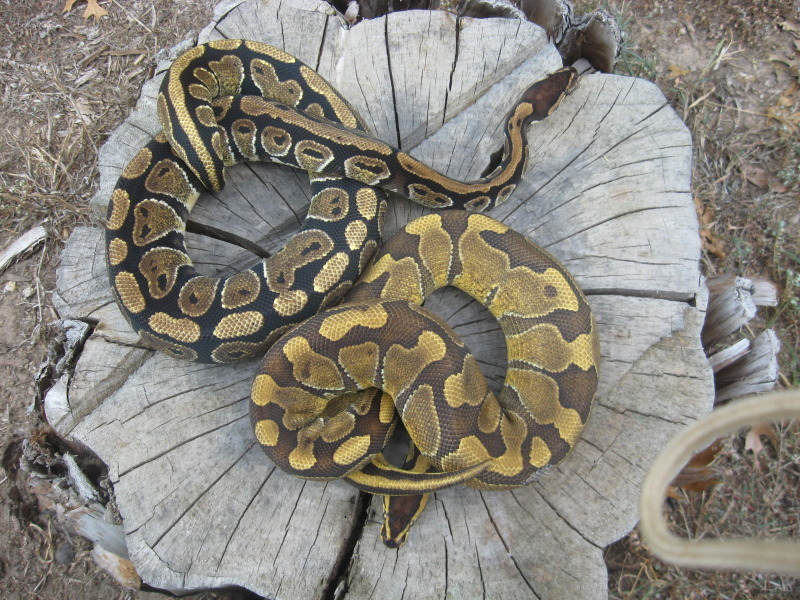 And my normal Lana with my Enchi Boy Asher They were my first 2 that really got me into the Ball Pythons again. Last edited by Lana's_mom; 09-27-2012 at 03:51 PM. Thanks I am so excited to breed him next year. Since my only breedable size female just laid her clutch two and a half weeks ago, I figured she won't be ready to breed until the late spring again. 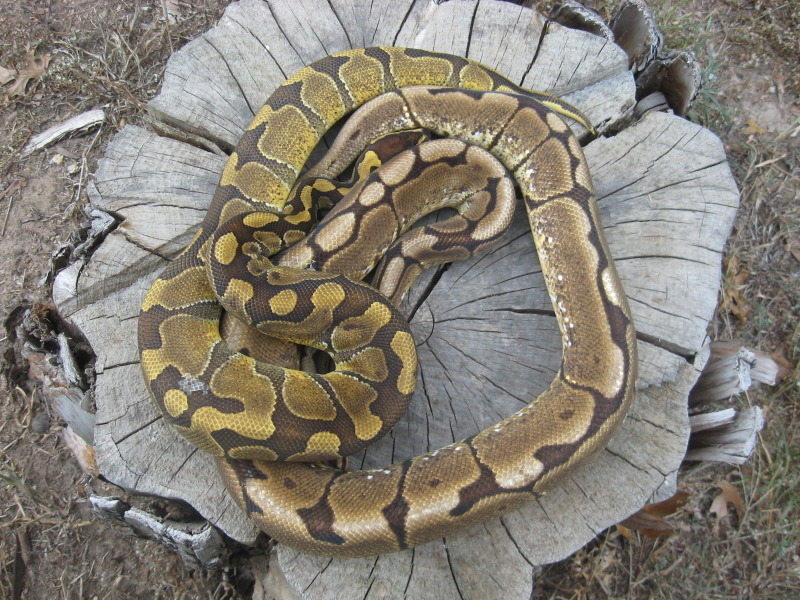 And but then I hope the other 2 normals are up to size, it will be their 3rd winter with me, so here's hoping for some baby Enchi's next year! This is exactly what I just thought haha. Nice, good luck. He's a very pretty boy, should make some nice babies for you.